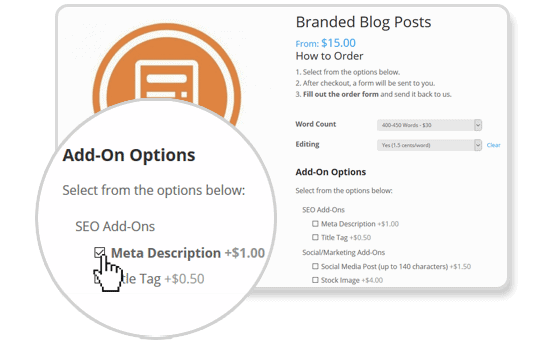 Once you’ve chosen a content product, select the word size. You can then select from any of our add-ons. 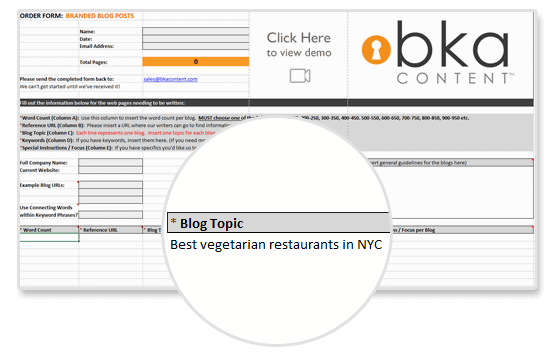 You have the option to add editing, meta descriptions, title tags, social media posts, or stock photos to your content. When you have finished selecting from the product options and add-ons, add the product to your cart. 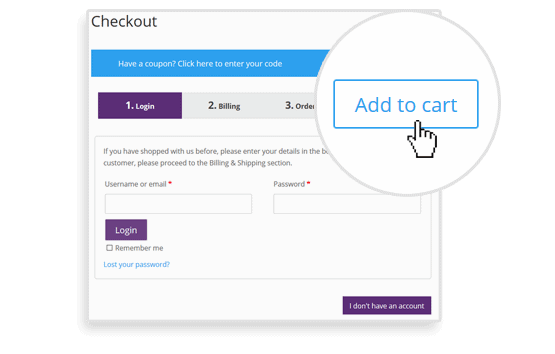 When all of the products that you need to order have been added to the cart, proceed to checkout and either log in with your existing BKA Content customer account, or register a new account. Once checkout has been completed, you will receive an order form via email. Fill out the easy-to-use order form, and send the completed form back to us to start your order. 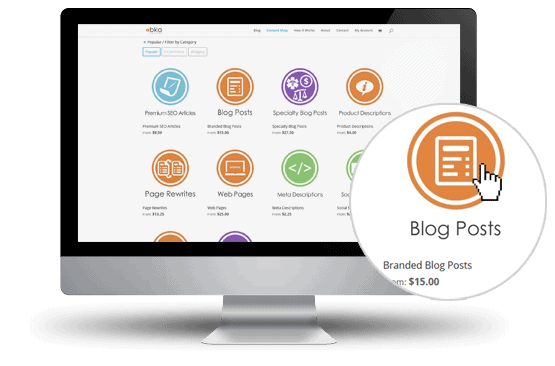 Are you an agency, e-commerce retailer, or enterprise company that needs a lot of content on a consistent basis? Here at BKA Content, we offer our one-of-a-kind Managed Services to clients that spend $1,000 or more per month FREE of charge! Our Account Management Services allow us to better accommodate large or consistent orders by customizing ordering, delivery, style guides, turn times and the ability to create dedicated writing teams. Contact us to discuss the scope of your content project. Based on your requirements, we’ll guide you to the content products and pricing that best fit your needs. Before proceeding with a large order, we always start with a trial order to ensure that we can meet your expectations. After creating order instructions, your account manager will select, manage, and train writers for your project. Your manager will be your one point of contact for easy coordination. Upon completion, your content will be sent to you. We can also customize the delivery process to include in-house editing for a small fee. If you would like to learn more about our Managed Services option and to see if you qualify, then drop us a line. We’d love to hear from you!